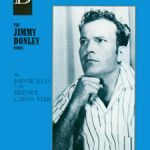 BOOK & 3-CD SET ON SALE NOW!!! Learn to speak Cajun French! Rev. 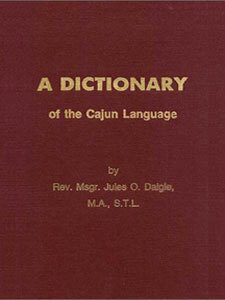 Daigle was the first to compose a seemingly complete Dictionary of the Cajun Language. Later, being the only priest old enough to have experienced the old, unaffected Cajun language, Rev. 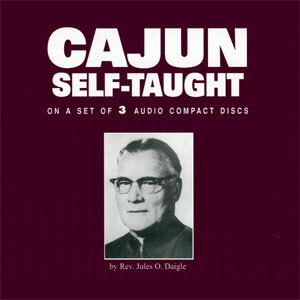 Daigle reverted to his life-long immersion in the Cajun language to compose Cajun Self Taught, a self-instructional guide for learning to speak the Cajun language that was so dear to him. 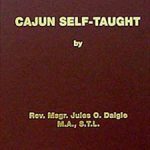 Cajun Self Taught can be used as an instructional companion to the Cajun Dictionary or a stand alone self instructional guide to help one read and speak Cajun correctly. An audio companion on CD is also available. 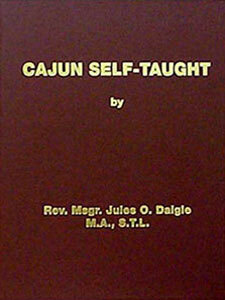 Purchase the Cajun Self-Taught Book as a set with the CDs & save $5.00 (*compared to purchasing them separately)! Cajun Self Taught is now in its 4th printing.